From Gary Bettman to Sean McKenna, USA TODAY Sports selects the biggest game changers in the league for 2016-17. 1. Gary Bettman, NHL commissioner: The NHL has been around for 99 years, and Bettman has been commissioner for 24 of them. He’s the dean of commissioners in the four major pro sports. While fans boo him because he is associated with lockouts and a lost season, he has the full support of owners after shepherding in financial stability and growth, competitive balance, a salary cap, a network television package, innovations such as the Winter Classic, the environmental friendly “NHL Green” initiative and centralized video review. 2. Sidney Crosby, Pittsburgh Penguins captain: Crosby is the face of the NHL, and he’s still the world’s best player. 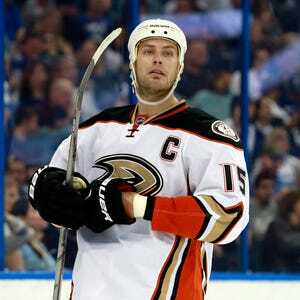 He recently joined Wayne Gretzky and Bobby Orr as the only players to be named MVP in the NHL regular season and postseason, plus the World Cup/Canada Cup. 3. Donald Fehr, NHLPA executive director: Fehr, the former long-team executive director of the Major League Baseball Players Association, is remembered in the baseball world for his battles with owners and leading one of the nation’s strongest unions, but he’s proven to be a noteworthy peacetime general in the hockey world. He was able to reach a World Cup deal with the NHL that was profitable for the league and the players. And he negotiated a “bye week” for players to be introduced this season in exchange for players’ cooperation in altering the NHL All-Star format. 4. Bill Daly, NHL deputy commissioner: Daly, 52, has a hand in every major issue in the league. He’s the NHL’s chief legal officer and has been the point man in labor negotiations. Bettman has complete trust in him. The presumption is that when Bettman retires — and that isn’t going to happen any time soon — Daly will make a seamless transition to the commissioner’s chair. 5. Alex Ovechkin, Washington Capitals captain: If Crosby is the face of the NHL, Ovechkin is the face of hockey in Eastern Europe. One of the greatest Russian players in history, he plays with passion and enthusiasm, as well as an incredible scoring touch that has led to 525 goals in 839 regular season games. He has said he plans to go the Olympics in 2018 even if the NHL doesn’t send players, which would create quite a stir. 6. Connor McDavid, Edmonton Oilers captain: McDavid, 19, may be the most widely talked about teenage superstar in NHL history, as well as its youngest captain. He’s probably the highest-profile Canadian star playing for a Canadian team since Wayne Gretzky with the Oilers. USA TODAY Sports NHL columnist Kevin Allen previews his list of some of the game changers in the NHL. 7. Stephane Quintal, NHL senior vice president of player safety:The former NHL defenseman became the new sheriff in town after Brendan Shanahan left for Toronto in 2014. Handing out suspensions and fines is a thankless endeavor, and the scrutiny has never been more intense as the game gets faster, players bigger and concerns grow about concussions. Quintal is on the front lines of making the game safe. 9. Jeremy Jacobs, Boston Bruins owner: Jacobs, 76, is chairman of the NHL’s Board of Governors, giving him considerable influence on league decisions. 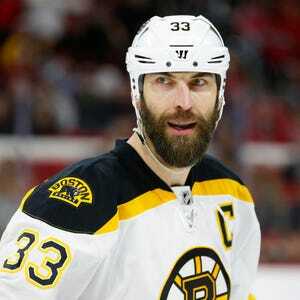 He is viewed as a hardliner when it comes negotiations with the NHLPA. He has owned the Bruins since 1975. 9. Bill Foley, Las Vegas NHL expansion team owner: The personable Foley, a West Point graduate, is drawing plenty of attention throughout pro sports as everybody looks to see how the first major league team in Las Vegas fares when it debuts next season. 10. Mike Babcock, Toronto Maple Leafs coach: Babcock commanded a $50 million contract in 2015 because the Maple Leafs believe he is the best coach in the game. The deal also dramatically altered the salary structure for coaches. 11. Colin Campbell, NHL senior vice President and director of hockey operations: He’s the gatekeeper for all rule changes and oversees centralized instant replay review in Toronto. A former player and coach, Campbell, 63, is old school in his approach but has proven to be open to change, embracing video review, shootouts and 3-on-3 overtime. 12. Wayne Gretzky, NHL’s all-time leading scorer: “The Great One” is front and center again as the NHL ambassador for its 100th anniversary season celebration. His return in an official capacity was overdue. Throughout his career, Gretzky has always served the game on and off ice. 13. Steve Yzerman, Tampa Bay Lightning general manager: Although Yzerman has not won a Stanley Cup as a GM with the Lightning, he has built one of the league’s model organizations. He manages the way he played — with a calculating, determined, intelligent approach. 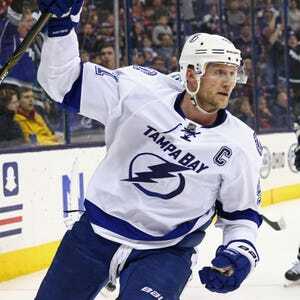 Everyone in the sport pays attention to what Yzerman does. 14. Rocky Wirtz, Chicago Blackhawks owner: After succeeding his late father Bill as the Blackhawks chairman, Rocky transformed a floundering team into a model franchise. The Wirtz family purchased the Blackhawks in 1954, but they are probably more important to the league today than they have been at any point in their ownership. 15. Sam Flood, NBC executive producer: Give NBC Sports chairman Mark Lazarus credit for having the vision to partner with the NHL, but Flood now has more impact because he controls how the game is presented. The result is the league is getting more national TV exposure than ever before. And the contract between the NHL and NBC, which is worth about $200 million a year, runs through the 2020-21 season. 16. John Chayka, Arizona Coyotes general manager: When he was promoted in May at age 26, he became the youngest GM in the history of the four major sports. Chayka is a leader among the game’s new thinkers who emphasize analytics. You can be sure other owners are watching how he does. Joel Quenneville has won three Stanley Cups with the Chicago Blackhawks. 17. Mike Emrick, NBC broadcaster: His call of NHL games is poetic and informational, the perfect blend of entertainment and storytelling. He’s the perfect national broadcaster for a sport that is still doing missionary work to convert fans. He’s 70 now, and NBC and the NHL officials are just happy he’s not talking about retirement. 18. Joel Quenneville, Chicago Blackhawks coach: As three Stanley Cup rings would attest, Quenneville has mastered the art of being a demanding coach without alienating his players. He’s picky about who he plays on defense, but he is neither an offensive nor defensive coach. He’s a winning coach. 19. Bob Bowman, Major League Baseball Advanced Media CEO: Bowman has overseen MLBAM’s rise to become the gold standard for pro sports digital offerings. A year ago it partnered with the NHL, and has already improved the product and the league’s reach. 20. Ken Holland, Detroit Red Wings general manager: In addition to commanding professional sports’ longest active playoff streak of 25 years, Holland is one of the league’s most respected voices when it comes to rule changes. He initiated and lobbied aggressively for the change to 3-on-3 overtime. 21. Jim Rutherford, Pittsburgh Penguins general manager: At 67, Rutherford has never been more appreciated. Ownership gave him a three-year contract this summer as a reward for the redesign that transformed the Penguins into champions. General managers always say it’s hard to make trades, but he proved last season that there is still room for a wheeler-dealer in the modern NHL. 22. Rene Fasel, International Ice Hockey Federation president: Fasel and Bettman don’t always see eye to eye on the NHL’s role in international hockey. But Fasel is an important ally for the NHL, especially when it comes to participation in the Olympics. Fasel wants to see NHL players in the Games, and he’s among those trying to cut a deal with the International Olympic Committee for the 2018 Olympics in South Korea. The NHL’s participation is in doubt because of the IOC’s unwillingness to fully participate in the funding of that venture. 23. Stan Bowman, Chicago Blackhawks general manager: Bowman came into the league with an impressive pedigree as the son of Scotty, the winningest coach in NHL history. But now Bowman owns an impressive resume with three Stanley Cup championships, and a knack for knowing how to stay on top in a salary cap era. General managers have learned from watching him retool his roster twice to get back on top. 24. Dan Marr, NHL director of central scouting: He’s the boss of the 29-scout department that evaluates and rates every draft-eligible player. In recent years, the NHL has put a greater emphasis on promoting the younger stars entering the league. The personable Marr has been an added help in that regard. 25. Patrick Kane, Chicago Blackhawks right wing: As the reigning MVP and scoring champion, Kane, 27, is the best American in the game today. 26. Jonathan Toews, Chicago Blackhawks captain: He is the yardstick by which all other NHL captains are judged. In addition to being one of the league’s top all-around centers, Toews is a flawless leader. You can market a team around Toews, and the Blackhawks have done that. 27. Stephen Walkom, NHL director of officials: It is NHL tradition to complain about officiating, but the truth is that players, coaches and general managers believe the officiating staff does a credible job. Walkom was a respected referee, and now he’s still respected for the job he does of trying to maintain a level of consistency in how the game is called on the ice. Maple Leafs president Brendan Shanahan (left) and Calgary Flames president Brian Burke (right) both made USA TODAY Sports' list. 28. Brendan Shanahan, Toronto Maple Leafs president: When Shanahan was a player, it was often said that he was destined to end up in either television or team management. He had the personality for the former and the competitive nature for the latter. Now he’s trying to bring the first Stanley Cup since 1967 to one of the league’s iconic franchises. 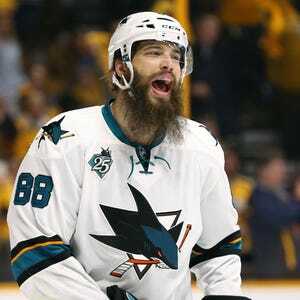 10 NHL season story lines: Sharks stay dangerous; P.K. Subban a Nashville star? 29. Murray Edwards, Calgary Flames owner: Forbes Magazine has listed Edwards in the past as among the top-15 richest Canadians. He is the Canadian team owner with the most influence on the Board of Governors. He’s a member of the executive committee. And Bettman likes to have Murray’s support on his decisions. 30. Ted Leonsis, Washington Capitals owner: He’s among the NHL’s most-well known owners because he interacts with fans through social media and his blog writing. He’s a member of the Board of Governors’ executive committee. 31. Pat Brisson, player agent: His expansive client list is led by Crosby and Kane. He’s a charismatic personality whose name has surfaced several times in connection with open general manager jobs. It would take “can’t-refuse” offer and opportunity to convince him to leave his current job. Brisson works for Creative Artists Agency, which also boasts J.P. Barry, another top agent. 32. Dan Craig, NHL ice guru: He’s the man in charge of ice-making. His ability to magically transform a baseball diamond, or a football field, plus 20,000 gallons of water, into an outdoor rink is one reason the Winter Classic has been overwhelming success. Craig, 60, has been maintaining ice rinks since he was a 15-year-old working for a junior team in Jasper, Alberta. 33. Don Meehan, player agent: He founded Newport Sports Management in 1981, and he is arguably the most well-known agent in the game. In his 35 years, he’s had a reputation for being tough but fair. Steven Stamkos and Drew Doughty are among his clients. His partner, Pat Morris, is another heavyweight agent. Florida Panthers winger Jaromir Jagr will turn 45 years old during the 2016-17 NHL season. 34. 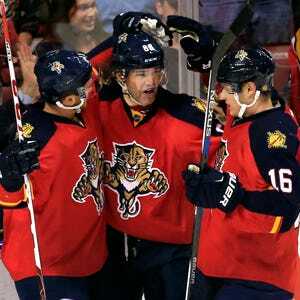 Jaromir Jagr, Florida Panthers forward:Jagr will turn 45 this season, and he’s the symbol of everything fun about hockey. The Czech star is known to train at all hours of the night. Loves to be at the rink. Loves to practice. Loves to play. Still an effective player. Might play beyond 50. 35. Dave Ogrean, executive director of USA Hockey: He’s been at forefront of the growth of American hockey for the past three decades. He’s a glib, colorful speaker who has a strong relationship with the NHL. Under Ogrean’s command, USA Hockey and the NHL have worked on projects that have been mutually beneficial such as the All-American Prospects Game, which showcases the top American-born talent for the NHL draft. 36. Mario Lemieux, former Pittsburgh Penguins star: When Lemieux was a player, he led the way as a dazzling offensive force. No one was better on a breakaway. Today, he leads the way as the managing partner of the Penguins ownership group. The Penguins are a model franchise when it comes to attendance, TV ratings and marketing. They are a league heavyweight in social media presence. 37. Tom Renney, president and CEO of Hockey Canada: Canada remains the No. 1 feeder system for NHL talent. The importance of Canada’s development program is never overlooked by the NHL. Renney is a former New York Rangers coach with considerable ties to NHL teams. 38. Dean Lombardi, Los Angeles Kings general manager: Anyone who knows Lombardi has a story or two about Lombardi being in his office at all hours of the night watching video. He leaves no stone unturned. He's also helped turn the major-market Kings into two-time Stanley Cup champs. 39. Brian Burke, Calgary Flames president: Bombastic Burke might be the most quotable man in hockey. As a former league executive and general manager, he’s well versed in all league issues. He’s a traditionalist when it comes to how the game is coached and played, but he’s progressive on some issues, such as the You Can Play Project, which was founded to ensure safety and inclusion for all who participate in sports, including LGBT athletes, coaches and fans. 40. David Poile, Nashville Predators general manager: Poile, 66, was working in the NHL when Gordie Howe was still playing. He started with the Atlanta Flames in 1972. This is his 35th season as an NHL GM, tying him with both Jack Adams and Glen Sather for most seasons in NHL history. Poile was previously general manager in Washington. 41. Steve Hatze Petros, NHL senior vice president for scheduling: For roughly three decades, Hatze Petros has had to juggle general manager’s desires, television’s demands and entertainers’ schedules to produce an NHL schedule for the regular season and the playoffs. 42. Kay Whitmore, NHL goaltending supervisor: The former NHL goaltender has been in charge of creating rules that will downsize goalie equipment without compromising safety. The NHL would like to stem the tide of goalies using oversized equipment to gain a competitive advantage. He has worked with New Jersey Devils goalie Cory Schneider, who represents the NHLPA’s interests in the competition committee. 43. David Andrews, American Hockey League CEO: Andrews, 68, has been CEO since 1994 and the league’s relationship with the NHL has never been stronger. Not only do AHL teams develop NHL talent, but the AHL also has been willing to test rules for the NHL, like it did recently with 3-on-3 overtime. 44. Allan Walsh, player agent: In addition to being an agent with a large stable of players, Walsh is vocal on social media. He is a former Los Angeles prosecutor who isn’t shy about expressing his opinions. He’s been outspoken on his belief that the NHL community needs to be more proactive in protecting players from concussions. Walsh works for Octagon Hockey, where former NHL player and agent Mike Liut is the managing director. 45. Dale Hunter, London Knights owner: A 20-year NHL veteran, Hunter has developed one of the model franchises in junior hockey. He gave up coaching the Washington Capitals in 2012 to devote more attention to the junior team he owns. The London Knights have had eight NHL first rounders over the past five years. Former Boston Bruins star defenseman Bobby Orr waves to fans during a ceremony to retire his number from his Ontario Hockey League junior team, the Oshawa Generals, in November 2008. 46. Bobby Orr, eight-time Norris Trophy winner and agent: He is, without question, the greatest defenseman who ever lived and today his player agency business is among top five in the NHL. 47. Bob McKenzie, TSN (Canada) reporter: More than 1.4 million people follow him on Twitter because he is so wired into the behind-the-scenes maneuvering. The running joke used to be that NHL GMs were required to notify the league and McKenzie when they made a trade. 48: David Le, EA Sports senior marketing director: The decision to let fans decide who should be on the cover of the NHL video game was clearly an ingenious marketing decision. The amount of attention that campaign receives on social media and elsewhere is impressive. 49. David Quinn, Boston University coach: He could become the next college coach to jump into a head coaching job in the NHL.When the Flyers hired Dave Hakstol as their coach out of North Dakota in 2015, he was the first to go from college coach to NHL coach in 28 years. Quinn is 50, and he’s already been an assistant with the Colorado Avalanche and a head coach in the AHL. 50. Sean McKenna, Sher-Wood Hockey, Inc. vice president: The NHL has been buying its pucks from this company for more than 20 years. It must be doing a good job; when is the last time you heard anyone complain about the quality of an NHL puck? Next five: Montreal Canadiens goalie Carey Price, Minnesota Wild owner Craig Leipold, Toronto Maple Leafs general manager Lou Lamoriello, Anaheim Ducks owner Henry Samueli and Washington Capitals coach Barry Trotz. Contributing: Mike Brehm, USA TODAY Sports; Sarah McLellan, Dave Isaac, Andrew Gross, USA TODAY Network.